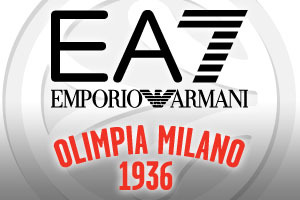 Spread Pick: EA7 Armani with handicap +5 at 1.90 Over/Under: Under 154.5 1.90 Bet Now! These teams have been regular opponents in the Euroleague in recent years, with this being the third season in a row where the two teams have clashed. This means that there may be a touch of familiarity between the sides, but given that the two teams play with a distinctly different style, there is always a level of interest in these games. You can guarantee that this will be a match of high intensity with Milan looking to seize control of the tempo of the game while Laboral will try and use their physical strength to lead the way in the match. 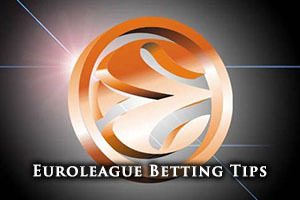 This is the game punters love to bet on because it could go either way and we have plenty of Euroleague betting tips for you. With both teams on a 1-3 record in Group F in the Top 16, this is a game where the two competitors will be absolutely desperate to grab victory and it could go either way. Domestically, Laboral has been struggling, sitting in 9th place with a 9-9 record. However, the club managed a big win in their last domestic outing, defeating the Catalan giants of Barcelona by a score of 103-94. Like Laboral, Armani hold a 6-8 record for the Euroleague, which includes a 5-5 record in the regular group stages. They have scored fewer points than Laboral though, averaging 74.8 points per game. Daniel Hackett, the US forward, has been the key man for Milan, offering up an average of 11.4 points per game, an average of 4.7 rebounds per game and an average of 4.6 assists per game. Jamaican player Samardo Samuels has also been a key player, providing an average of 10.5 points per game while providing an average of 5.1 rebounds per game. Domestically, things are going rather well for Milan, sitting in 1st place with a 14-2 record. They were 94-61 winners in their last game, defeating Vanoli CR 94-61 in Milan. Given that the team game could go either way, there is a lot to be said for taking EA7 Armani with a handicap of +5. You will find this bet available at odds of 1.90 with Bet365, so this should be your first port of call in looking to place a bet on the Friday night action. If you are looking to get involved with the Over/Under options, you will find that going Under 154.5 is likely to be a sensible bet, and again, this is a bet that is available with Bet365.This is a match that may well take your breath away and if you are looking to watch Laboral Kutxa Vitoria v EA7 Emporio Armani Milan live on Friday the 29th of January, we can sort you out. Bet Now!